The fires on Bataan burned on the evening of April 9, 1942 illuminating the white flags of surrender against the nighttime sky. Woefully outnumbered, outgunned, and ill-equipped, battered remnants of the American-Philippine army surrendered to the forces of the Rising Sun. Yet amongst the chaos and devastation of the American defeat, Army Captain Donald D. Blackburn refused to lay down his arms.With future SF legend Russell Volckmann, Blackburn escaped from Bataan and fled to the mountainous jungles of North Luzon, where they raised a private army of over 22,000 men against the Japanese. Once there, Blackburn organized a guerrilla regiment from among the native tribes in the Cagayan Valley. Blackburn s Headhunters, as they came to be known, devastated the Japanese 14th Army within the western provinces of North Luzon and destroyed the Japanese naval base at Aparri the largest enemy anchorage in the Philippines.After the war, Blackburn remained on active duty and played a key role in initiating Special Forces operations in Southeast Asia. In 1958, as commander of the 77th Special Forces Group, he spearheaded Operation White Star in Laos the first major deployment of American Special Forces to a country with an active insurgency. Seven years later, Blackburn took command of the highly classified Studies and Observations Group (SOG), charged with performing secret missions now that main-force Communist incursions were on the rise.In the wake of the CIA s disastrous Leaping Lena program, in 1964 Blackburn revitalized the Special Operations campaign in South Vietnam. Sending cross-border reconnaissance teams into Cambodia and North Vietnam, he discovered the clandestine networks and supply nodes of the infamous Ho Chi Minh Trail. Taking this information directly to General Westmoreland, Blackburn received authorization to conduct full-scale operations against the NVA and Viet Cong operating in Laos and Cambodia. In combats large and small, the Communists realized they had met a master of insurgent tactics and he was on the US side.Following his return to the United States, Blackburn was appointed Special Assistant for Counterinsurgency and Special Activities, where he was the architect of the infamous Son Tay Prison Raid. Officially termed Operation Ivory Coast, the Son Tay raid was the largest POW rescue mission and indeed, the largest Special Forces operation of the Vietnam War.During a period when United States troops in Southeast Asia faced guerrilla armies on every side, it has been little recognized today that America had a superb covert commander of its own, his guerrilla skills honed in resistance against Japan. This book follows Donald D. Blackburn through both his youthful days of desperate combat against an Empire, and through his days as a commander, imparting his lessons to the newly-realized ranks of America s own Special Forces.REVIEWS A follow-up to a fine bio of Russell Volckmann, this tale of guerrilla warfare spans from Bataan to Vietnam. 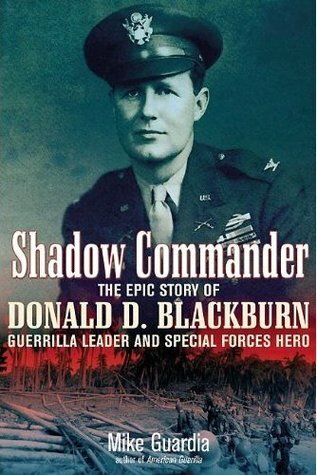 World War II Magazine Donald D. Blackburn's involvement in guerilla warfare against the Japanese in WWII qualified him to become one of the first commanders of the Special Forces. For this career biography, the author conducted personal interviews with Blackburn and his family in 2008, with access to all of Blackburn's personal papers, documents, photos, and his war diary from 1941 1944. BOOK NEWS very well researched and readable account of one man s fascinating military career, which was rarely spent far from where the action was. Miniature Wargames an excellent biography of one the Army s lesser known but very important leaders. . Blackburn s activities in World War II alone would make him a hero, but the author goes on to cite in some detail Blackburn s other contributions in Viet Nam as well as to the evolution of Army Special Forces.The author s detailed accounts of Blackburn s activities make this book a must read for anyone interested in military history, World War II, and particularly for anyone studying or who simply enjoys reading about guerilla warfare or Army Special Forces. Military Writer s Society of America"